"I never know which toe shape is in or out, but my team told me it’s utterly desirable to sport squarer toes now. So, for the modernity-famished customer, here are our new square-toe Derby wing-tip brogues. Sounds like ordering takeaway coffee, doesn’t it? I’ll have mine with whipped cream, please." 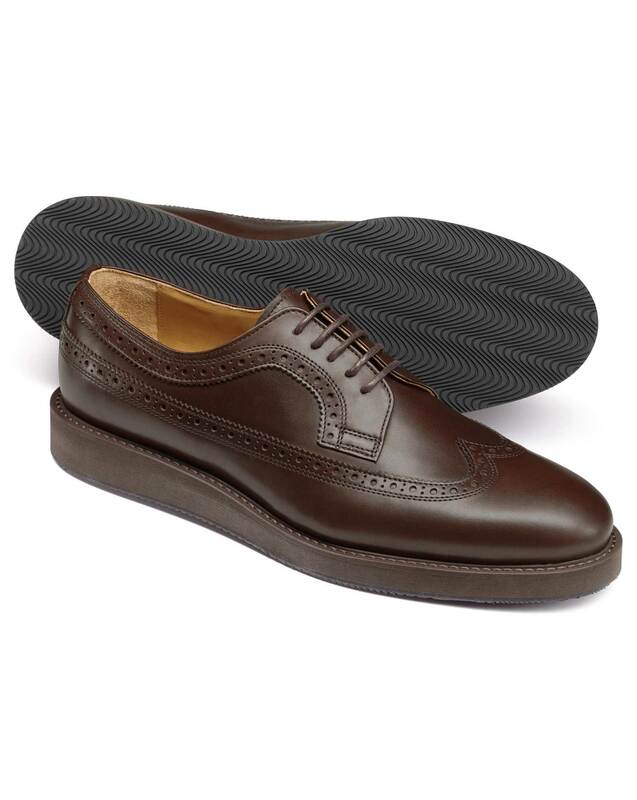 "A modern square toe Derby wing-tip brogue made with half leather and half rubber sole for improved grip."